If our body does bring a certain amount of energy that is provided through food, then it will incur various disorders and diseases. Health condition means that something has to change in our diet or to make a diet regime supplements. It can be adjusted with therapeutic diet. 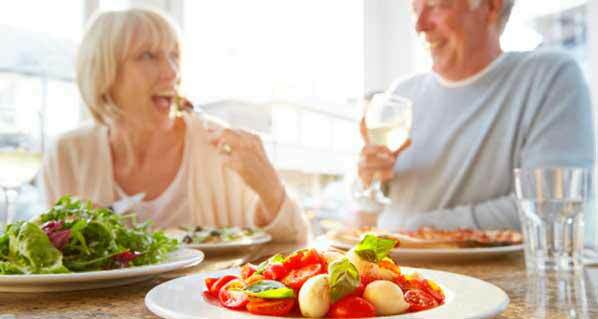 Therapeutic diet is recommended for those who have problems with cholesterol and those with cardiovascular disease. This diet became one of the most popular methods for healthy weight loss. American Society for Heart Disease approves this type of diet.This regime is not for those who want to loose weight rapidly, but for those seeking a healthy diet to achieve your ideal weight. You can loose about 2 kilograms a week, but it is healthy weight loss. – To limit the intake of fat and especially saturated fat (fat meat, food fried in butter, full-fat dairy products), because it elevated blood cholesterol and increase the risk of heart attack or stroke. The opposite of this is permitted consumption of foods rich in fiber and carbohydrates, fruits and vegetables, low-fat non-fat mechni products, fish, turkey meat, white meat chicken and olive or linseed oil. – Daily and regular physical activity helps reduce bad cholesterol. First, you need to determine daily caloric intake. To reduce bad cholesterol men should contain 2500 calories and women 1800 calories, and if you want despite bad cholesterol and reduce weight then daily calorie intake for men is 1700, and for women 1300. By keeping this diet despite reduce bad cholesterol and reduces the risk of cardiovascular disease, diabetes, hypertension and obesity. Get Rid Of Cellulite With These Healthy Habits!